Heavy-duty construction protects your stuff. 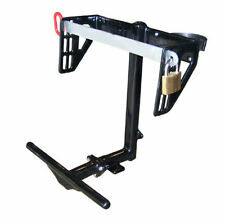 This rack mounts to the wall or rail of your truck or trailer. Hardware included. Includes 1 padlock and hardware. Powder-coated black. 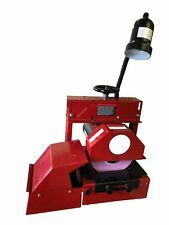 Bradley S100 Professional Blade Sharpener Bundle Kit. This bundle kit includes: The Bradley S105 Professional Blade Sharpener & the S640 Dirt collector and mulch blade adaptor. The S105 makes sharpening the full-length of the mower bladeseasy and affordable. TS2000N Two-Wheel Mower Sulky. Factory s cratches and d ents p revent u s f rom s elling as n ew, but t hese work just like new. Large 10" pneumatic turf tires. Heavy-duty construction and thick vinyl coating protect your stuff. 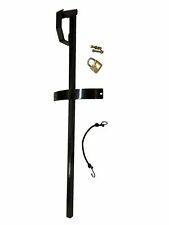 This rack mounts to the wall or rail of your truck or trailer. Hardware included. Flat pin design holds and secures blower. Includes 1 padlock and hardware. One-Wheel Sulky - MS2006N - Quick Release. Manufactured by Havener Enterprises, Inc. Quick Release Pins. Protected Grease Fittings. 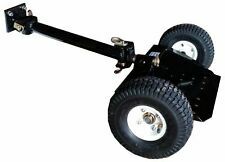 SW2006N Swivel-Wheel Lift-and-Latch Sulky for Smooth Easy Backing. Manufactured by Havener Enterprises, Inc. Easily lift-and-latch into place when you need to walk. Powder-Coated Finish. 11" Ribbed Pneumatic Tires. Quickly and easily convert your walk-behind mower into a stand-on riding mower. This sulky fits almost every mower! Drilling may be required. Arm is 15" long from platform pivot point to hitch pivot point. BRADLEY STEEL GRASS CATCHER GC2000. Bradley Grass Catcher GC2000 Easily bag your clippings with the fast removable Bradley Steel Grass Catcher. Fits Bradley and most Red Hawk walk behind and stand-on model mowers. Manufactured by Havener Enterprises, Inc. Quick release pins. David Bradley 2 Inch Sickle Bar Mower Sections 4565m. Shipped with USPS First Class Package. BRADLEY STEEL GRASS CATCHER GC2300. Bradley Grass Catcher GC2300 Easily bag your clippings with the fast removable Bradley Steel Grass Catcher. Fits Ferris 48/52 SRS and Z2 model mowers. 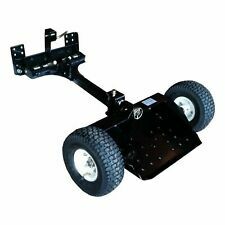 • Fits Ferris 48" & 52" Walk-Behind and 5 2" SRS Z2 Stand-On Mowers. Up for sale is some david bradley dirt plow parts in good used condition. What you see is what you get. Thankyou for looking. Up for sale is a set of 17 blades and 32 rivets which I believe belong to a David Bradley Sickle Bar Mower. These will be great for a restoration. They were sold by Sears Roebuck & Co and there is a sticker on the box. You are buying a new reverse shoe for the reverse hubs in David Bradley 2 wheel tractors. Part is new. BRADLEY PULLEY PART NUMBER 101340. Quickly and easily convert your walk-behind mower into a stand-on riding mower. This patented sulky fits almost every mower! Drilling may be required to fit your mower. Arm is 18" long from platform pivot point to hitch pivot point. (26 pages). To give you the best manual that will serve it's purpose of clarity, utility and longevity. Try Us First! Our books are built to high standards of quality and durability! OUR MISSION IS. Water Cooler Holder. Securely holds a water cooler to landscaping trailers, trucks, ATVs, UTVs, etc. Water Cooler Holder. Securely holds any size water cooler to landscaping trailers. Heavy-duty black vinyl coating. It covers just about everything for both walked behind & the TRI- TRAC. This is a new Bradley Belt part number 1148007. 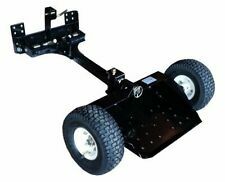 Quickly and easily convert your walk-behind mower into a stand-on riding version with this Bradley Mowers SW2006N Swivel Wheel Sulky Lift and Latch. It is ideal for smooth, easy backing, so you can get your yard work done efficiently. 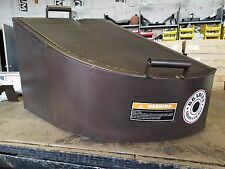 This is a new Bradley 48" Engine to Blade Belt part number 250063. RARE!! 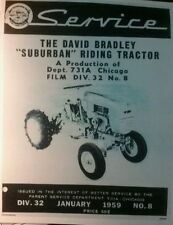 NOS David Bradley Tri-Trac / Suburban Generator FREE SHIPPING!!! This generator has never been used! The downside to this generator is that the face on the gauge is broken This would make an excellent addition to any collection. You don't ever see these up for sale so don't let this one pass you by! 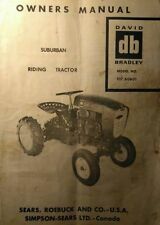 Manufacturer: Bradley Mower Parts. OEM Part Number Part Number. Collars for model: 130, 155, 170, 175, 334, 344. The "original" Two Wheel Sulky. 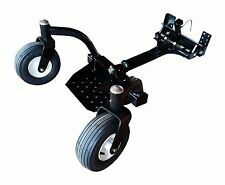 Fits most mowers, hitch adapters available for other mowers. Anti-slip platform tread. Disconnects with a single pin. BRADLEY LYNCH PIN PART NUMBER 100-097. Collars for model: 130, 155, 170, 175, 334, 344, 346. YOU ARE LOOKING AT DECALS FOR A DAVID BRADLEY SEARS RT HANDIMAN GARDEN TRACTOR. THIS IS FOR THE ENGINE SHROWD. THAY ARE 5 1/4 " LONG, DECALS ARE MADE FROM HIGH QUALITY VINYL. EASY TO APPLY. MAKES ANTIQUE TRACTOR LOOK NEW.I CAN MAKE DECALS FOR MOST TRACTORS AND ENGINES.